Functional Systems provides a complete line of nurse call systems both wired and wireless with easy-to-use communication system that integrates the capabilities of the latest technology - cellular phones and pagers, real-time locating systems, MIS/ADT software applications, and enterprise-wide reporting - with traditional "nurse call" equipment. Functional Systems nurse call product line increases staff efficiency, patient satisfaction, and gives nurses the tools they need to respond quickly and efficiently to all patient calls. Functional Systems has partnerships with leading manufacturers, we offer competitive financing options, industry leading customer service, and seamless integration into your facility or system-wide. With more than 30 years of experience in hospital room communications technology, Functional Systems keeps you connected with your patients 24 hours a day, seven days a week. Our line of nurse call systems are strategically-designed to fit your environment, to address your hospital's challenges and deliver the functionality in your nurse call system you need. 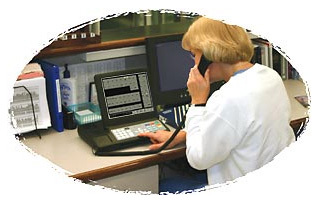 Whether you are looking for an integrated, wireless hospital system, or simply an efficient way for staff to receive and respond to calls, Functional Systems nurse call systems provide the solution to your facility's needs. Functional Systems services offers competitive financing, industry leading customer service, and seamless integration into your facility to aid in meeting all of your facilities communications needs.